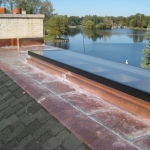 Flat seam roofing systems are common on low-pitch and flat roofs. In some cases, they are also the best choice for domes, barrel vaults, and other curved roofs. Flat seam roofs are constructed of sheets of metal that are folded over one another at the seams and sealed with a special machine called a seamer. This crimps the panels together in such a way that they remain watertight, and they also resist high winds thanks to their unique installation. 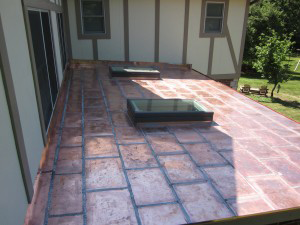 This roofing system can save homeowners money in the warmer months by reflecting the sun’s rays away from the home rather than absorbing them like asphalt shingles. While flat seam roofing is far more common on garages, sheds, and home additions, they’re also viable solutions for commercial spaces and some homes. 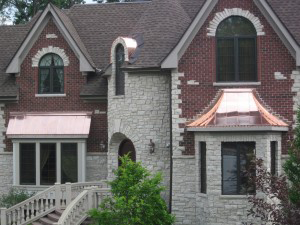 Custom Installations has unsurpassed knowledge and expertise when it comes to a variety of metal roofing solutions, including flat seam roofing. They also offer a variety of products so you can customize the look of your home with different types of metals, finishes, and styles. The benefits of metal roofs are endless. 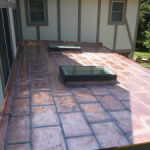 They are far more durable than most other roofing materials, and they’re far simpler to maintain. They’ll reduce your energy consumption – especially in the summer – and they even protect your home against fire, wind, and hail. 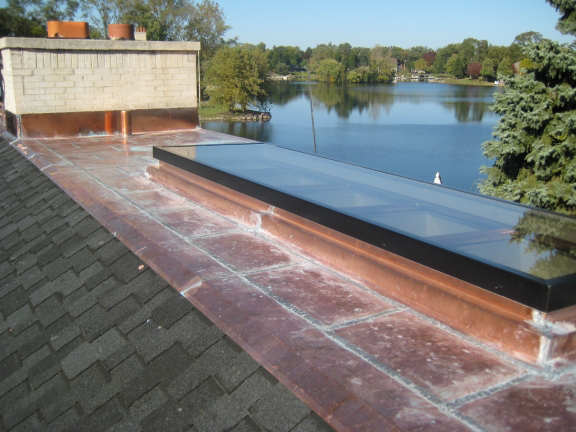 Here at Custom Installations, we install flat seam roofing in Chicago and the surrounding locations. 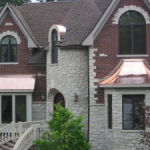 No matter where you live in Northern Illinois, Custom Installations is the contractor of choice for quality, professional flat seam roofing. If you’d like to learn more about flat seem roofing or about our team of skilled contractors, feel free to contact us for more information. We’re always happy to answer your questions. Schedule a free home consultation today and one of our sheet metal experts will be happy to discuss metal roofing options for your home!